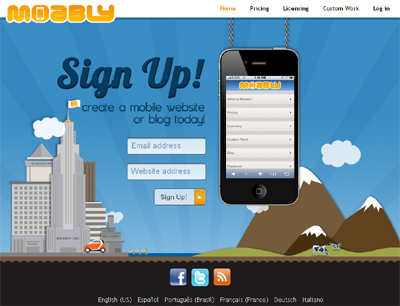 www.Moably.com is a new and rapidly growing international mobile technology company. They build technology that allows businesses worldwide to easily create mobile websites, blogs, applications, and mobile online stores. No technical skills required. Moably’s first product, a mobile website builder, lets anyone create a mobile version of their website and blog with no coding required. For free. Five easy steps using Moably’s Mobile Web App Builder will produce a quality mobile website and blog.